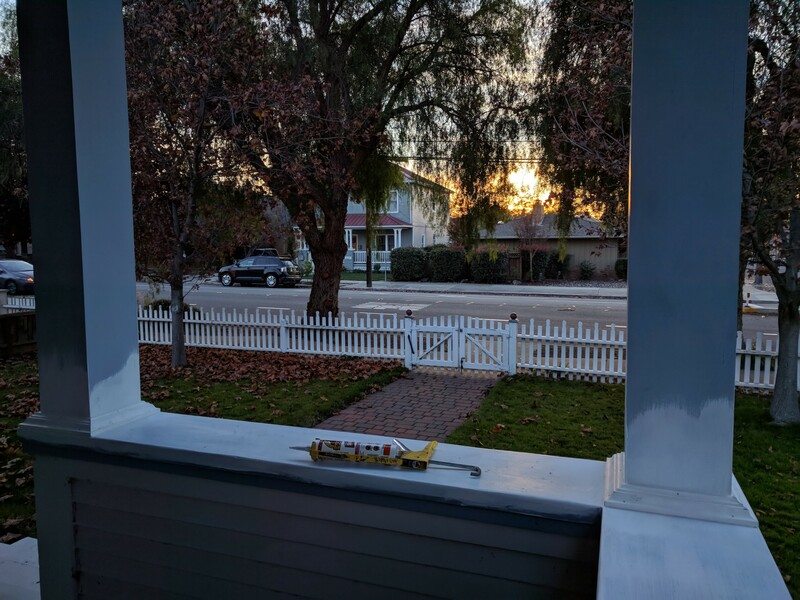 As the sun set at the Red Dog Estate, I was installing the last of the crown moldings and caulking the top and bottom perimeter on each column. 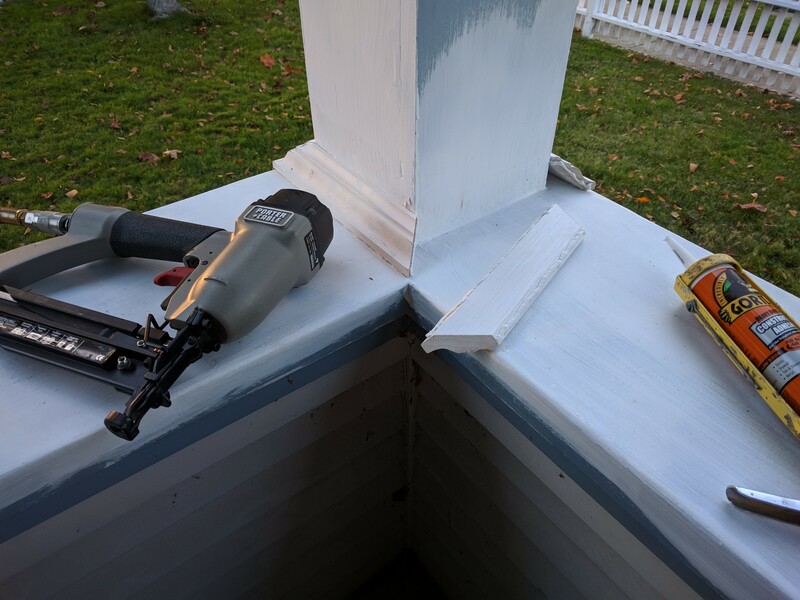 Each piece of molding was glued in place and secured with three galvanized finish nails. 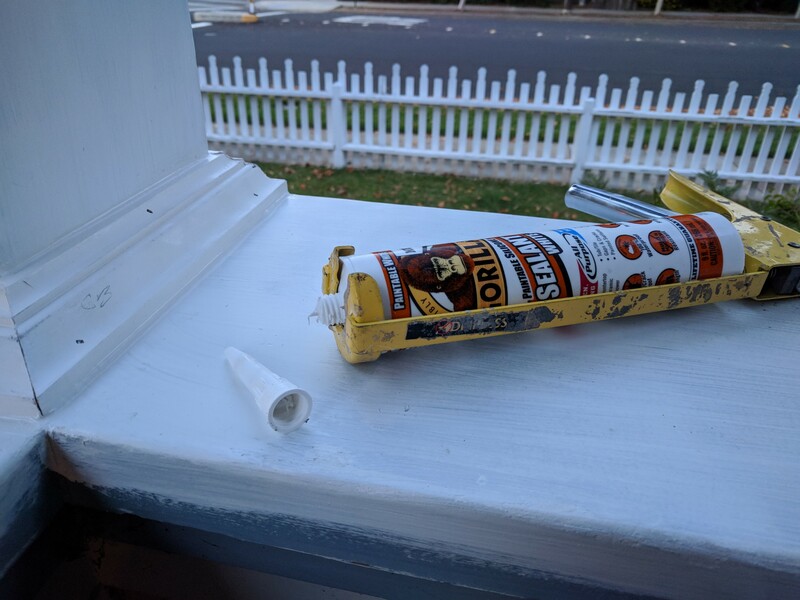 I decided to use the Gorilla brand and discovered that the nozzle unscrews to allow it to be cleared of glue or caulking that sets between use. Once the adhesive cures I will set the nails just below the surface so each one can be filled and sanded flush with the molding surface. The porch and the house are so well maintained. The first capture is so beautiful! I bought a Robotic Vacuum after reading your post, it works beautifully. Amazing! Thanks, Amy. Happy to hear you like your robotic vacuum. Rosie is worth every penny. If you have pet hair be sure to clean the front wheel and pick up rollers after each use. I learned the expensive way to do regular maintenance to remove the hair that wraps around the axles and end of the rollers. Will do. Thank you so much, Patrick! It does a great job. Thanks, Jo! The porch project is definitely getting close to completion. Hopefully the weather continues to cooperates.